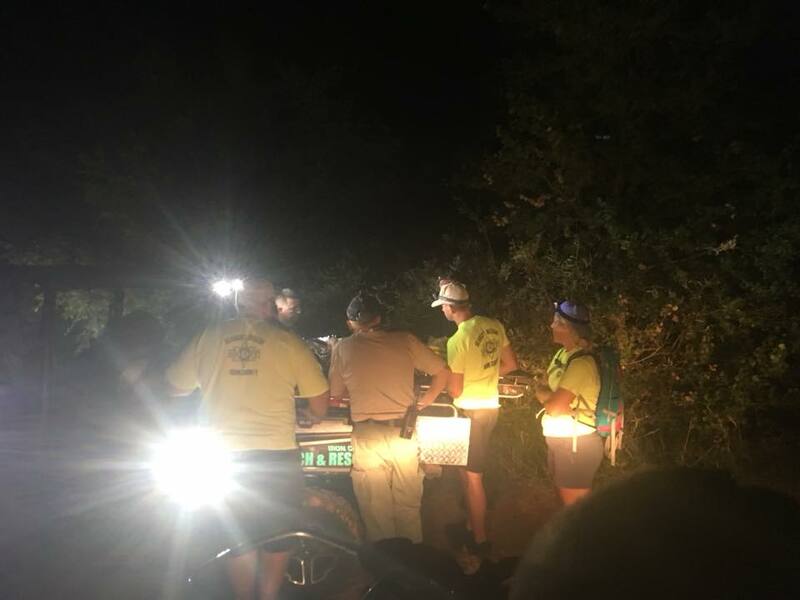 ST. GEORGE — Volunteers with Iron County Search and Rescue spent a late night in a Kanarra Creek Canyon Tuesday night as they extracted a woman who injured her leg. The woman had slid down a small waterfall just upstream from the main Kanarra Falls when she hit the bottom of the creek, said Lt. Del Schlosser, public information officer for the Iron County Sheriff’s Office. The water wasn’t as deep as she had anticipated, so her leg struck a rock at the bottom of the pool. Schlosser said the woman either severely sprained or broke her leg. The call for search and rescue officials to respond came at 7:40 p.m. and the first responders were on the trail 10 minutes later, Schlosser said. 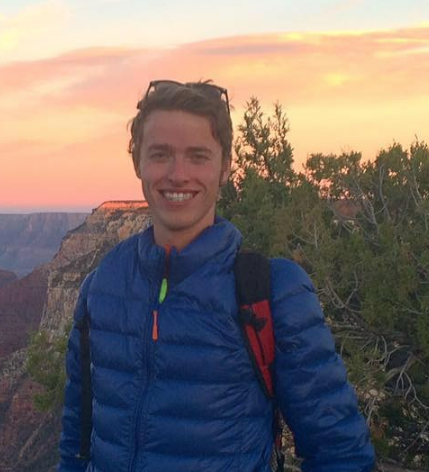 The woman was in good spirits, but she was in pain when rescuers extracted her from the canyon in a stretcher, Schlosser said. 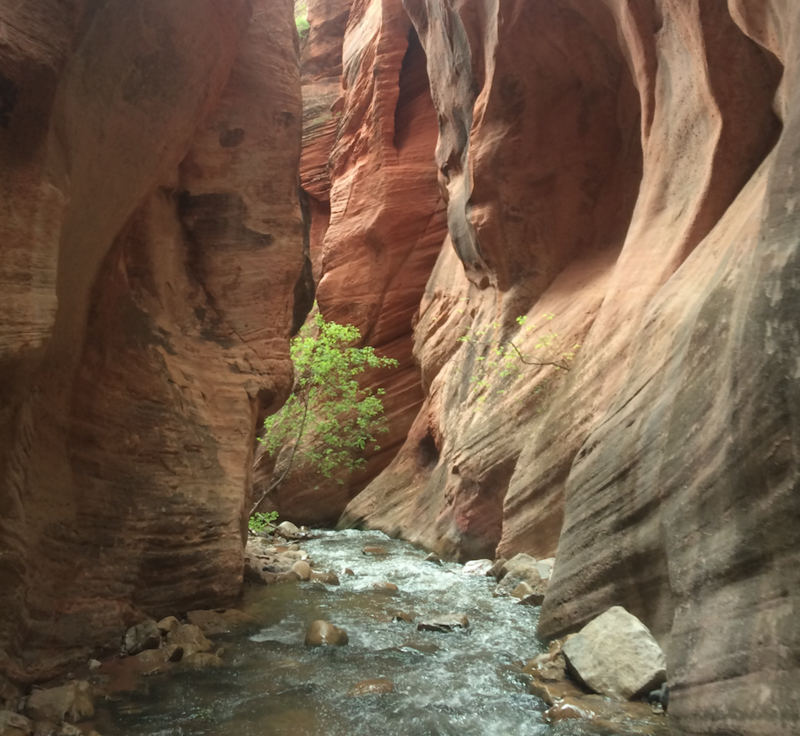 Once out of the slot canyon, the woman was loaded onto an all-terrain vehicle. She was picked up by an ambulance at the trailhead shortly before 1 a.m. Wednesday. There are two main waterfalls within Kanarra Creek Canyon that people can climb up on rustic ladders. The small waterfall that the woman slid down forms somewhat of a natural water slide that people often slide down into the creek, Schlosser said. The area around Kanarra Falls is a high-rescue area that people should exercise caution while visiting, Schlosser said.